Parent consultations are held once per term, when parents and children are invited to meet with the teacher to discuss the child’s progress and on-going needs. These happen in the Autumn and Spring terms and if necessary an appointment can be made with the class teacher regarding specific concerns in the Summer Term. Each half term a Pupil Information Leaflet is sent to parents. These include the curriculum areas being covered. In addition, we hope to invite parents to an afternoon at least once per year where children can share their learning experiences. At the end of the school year a written report is sent home and written parental comments are welcomed. Parents may request to see their child’s teacher at a mutually convenient time to discuss their child’s progress and targets throughout the year. We endeavour to keep parents informed at all times. A newsletter is sent home each half term as well as after special events in school. The School website is also a valuable source of information and well worth a look. Urgent or immediate messages are sent via our text messaging service. We also have a Parent Support Adviser who works with families in terms of specific issues. Please contact Jo Howe via the school office for more information. 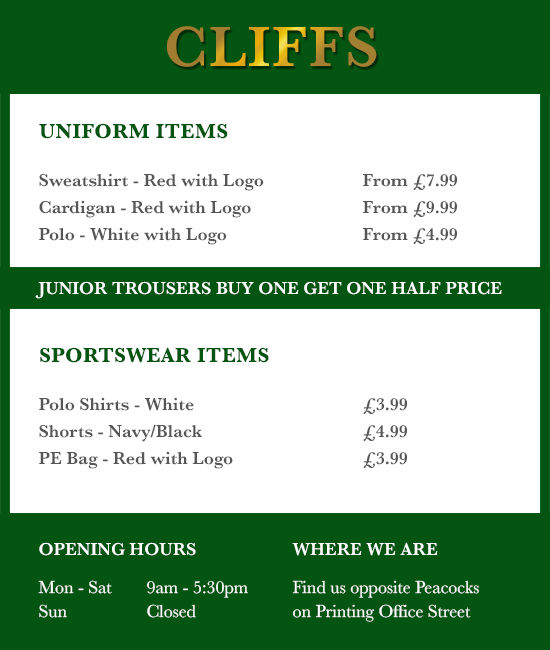 Embroidered school sweatshirts and polo shirts can be obtained from Cliff’s in Doncaster town centre. We appreciate that black tracksuits may be difficult to obtain, therefore navy blue or dark grey are acceptable. Please note that personal football strips are not allowed. Jewellery is not allowed except for a watch. Earrings are not permitted for health & safety reasons. If you want your child to have pierced ears then may we suggest they are done in the 6 week summer break to allow for the healing process to be complete before returning to school. If ears are pierced during term time then they must be covered by plasters or tape, supplied by parents, until the earrings can be removed. Children in year 5 should not have their ears pierced during the school term as earrings cannot be worn for swimming and must be removed. Covering with plasters after the healing process is complete is not an option. If children persistently arrive at school with earrings uncovered then they will be asked to remove them. Please mark all articles of clothing with your child’s name. The school cooks and serves a balanced meal on the premises. A cafeteria system operates at lunchtime when pupils are able to select from a limited choice menu which guarantees healthy well balanced meals. For children of junior age Year 3- Year 6), a school meal costs £2.40 per day / £12:00 per week. Payments to be made over ParentPay. Parents on low income may qualify for free meals for their children. Details can be obtained from the Free School Meals section at DMBC on 734123. Should a child wish to move from school dinners to packed lunches then a full half terms notice should be given in writing. To ease the administrative burden your child must remain on packed lunches until the end of the term.Following that time if he/she would like to return to school dinners then a note or a phone call to Miss Russell, in the school office, is requested before the start of a new term. Packed lunches should be brought to school in a suitable container, which is not overlarge due to the limited space in each classroom for storage. The school will provide a drink for children who bring a packed lunch and, therefore, there is no need to include a drink in their packed lunch box. All rubbish generated from packed lunches, e.g. empty packets, cartons, etc. must be taken home. Pupils are expected to leave the dining table in a reasonably clean and tidy state ready for the next group of children. Pupils in Foundation Stage and Key Stage 1 are provided, free of charge, with a piece of fruit or vegetable to eat during the morning break. 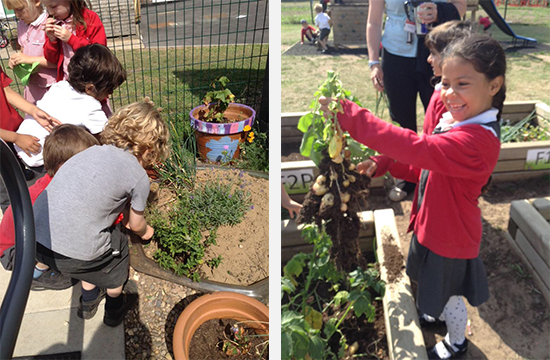 Pupils in Key Stage 2 may bring their own fruit or vegetable snack to eat at break. Pupils are eligible to receive a free one-third pint of milk per school day until the day of their fifth birthday. Parents must register their child for free and paid milk through CoolMilk (www.coolmilk.com). As their fifth birthday approaches parents will be sent a reminder from CoolMilk (if a registered email address has been given) and payment can be made through their website. Payments made before mid-day Tuesday will be processed by CoolMilk for the following Monday. Payment for school milk cannot be made at the school. Pupils are encouraged to bring a water bottle to school and to drink water throughout the day. This bottle should be clear and should not contain anything but water. There is a water cooler situated in each key stage and pupils may fill their water bottles as and when required. The partnership between home and school is very important and we believe it is good for our children to witness parents and school working together towards a common goal. 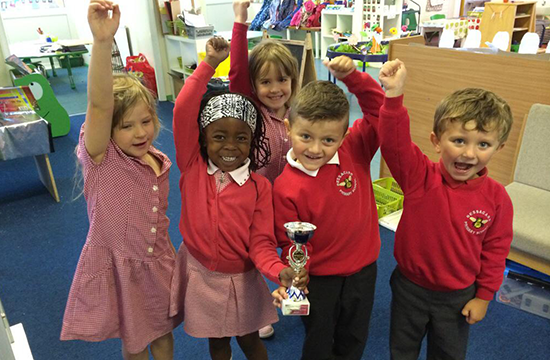 Parents are encouraged to come into school on a regular basis in order to help in various ways. The main aim is the enhancement of the partnership between school and home, promoting opportunities for parents to experience first-hand what occurs in school thus furthering their knowledge and understanding of the basic aims of the school. In addition it is felt that parents may be able to offer specific talents and skills that will complement the school curriculum and it provides an opportunity for children to meet and work with other adults thus developing their skills of adaptability and co-operation. Parents who express a wish to work voluntarily in school are given a booklet containing essential information relating to the school day and safety procedures. Helpers will be asked to fill in a form detailing their preferences in relation to time, year groups, etc. Rotas may have to be established in order to ensure that all offers of help can be accepted at some stage throughout the school year and therefore we ask parents to make an initial commitment of one term only. For security reasons all parents who are helping in school must report to the office and sign in, and on leaving sign out. The school is committed to ensuring the safety of all children on the school premises. All regular volunteers will be required to complete a Disclosure and Barring Service check. If you a require paper copy of the information on our School Website, we will provide this free of charge.